New York Mets executive Jeff Wilpon said the team aggressively pushed to acquire Edwin Diaz in part to “block” the rival Philadelphia Phillies from trading for the All-Star closer. 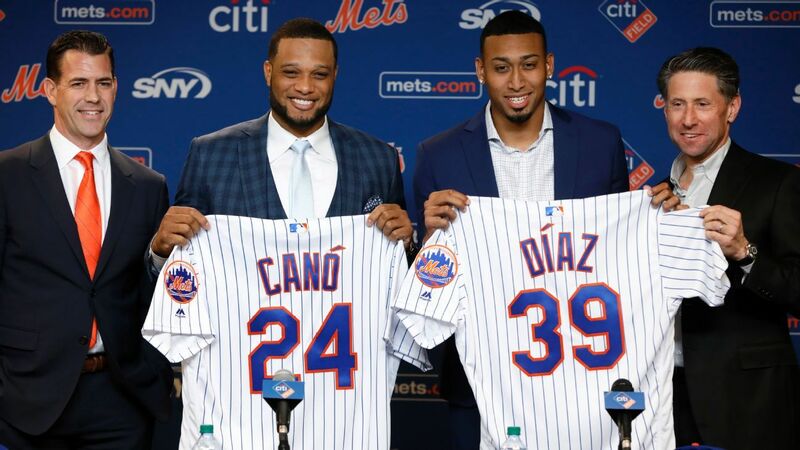 Wilpon, the Mets’ chief operating officer and son of owner Fred Wilpon, joined general manager Brodie Van Wagenen at a news conference Tuesday to introduce Diaz and second baseman Robinson Cano. The Mets officially acquired Diaz, Cano and cash considerations Monday from the Seattle Mariners, who received outfielder Jay Bruce, reliever Anthony Swarzak and prospects Jarred Kelenic, Justin Dunn and Gerson Bautista. Wilpon told reporters Tuesday that the Mets believed that if they failed to agree on a deal with the Mariners, Seattle would ultimately trade Diaz to Philadelphia. “To Mets fans, we came here to win and try to reach the World Series and get that ring,” Diaz told reporters, according to the New York Post. Van Wagenen told reporters that the blockbuster trade won’t be the Mets’ last move this offseason. The Mariners and Phillies did agree to a high-profile trade Monday, as Seattle sent star shortstop Jean Segura to Philadelphia in a five-player deal. The Mets’ trade returns Cano to New York, where he starred for the Yankees the first nine seasons of his career. He said Tuesday that he is excited to return to the Big Apple. “I’m more than happy — I would say blessed — to be able to wear this uniform. … Also happy to be back in New York. I just can’t wait for the season to get started,” he told reporters, according to Newsday.